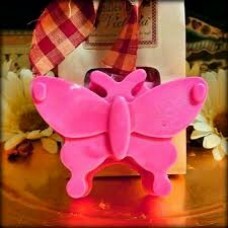 This adorable highly scented Butterfly Melt is brand new to our line! A huge tart you can cut this up and get several uses out of it. Highly scented and available in all our wonderful fragrances. Just too cute! The butterfly will come in the color of the scent you choose.